According to the MEGOGO’s executive team, Z-Games is the main event of the year for youth in the post-USSR. “Choosing the project, we looked at dozens of events and picked the most entertaining and interesting. 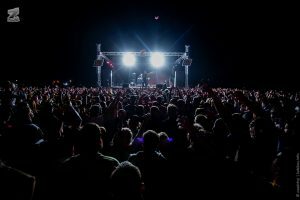 It was not only first-class music and sports component, but also the atmosphere of the festival, extremely popular among progressive audience, that influenced our choice”- says Ivan Shestakov, marketing director at MEGOGO. It is hard to disagree, considering the scale of the festival. Z-Games will take place in early August on the Black Sea. 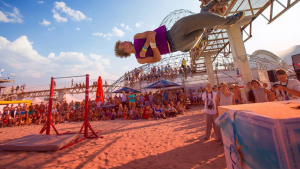 More than 1500 athletes and artists will occupy the beach for four days, inhabiting four musical locations and dozens of unique constructions for spectacular extreme sports disciplines. 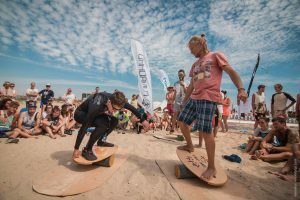 More than a hundred top-class riders from all over the Europe will participate in fascinating action-sports competitions and international series events. Also worth mentioning, that any visitor is allowed to try him or herself in any of the disciplines and even qualify and make it up to the finals. 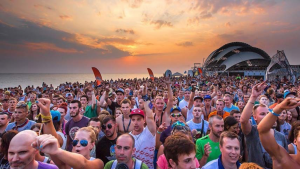 In addition tothe sporting events, live music performances are starting every day at sunset, continued by DJsets of top DJs from around the world and outstanding battles of the best-recognized hip-hop bands. MEGOGO is planning a live streaming that will continue every day throughout the entire time of the event – from 7 am until the last DJ set. A new section MEGOGO LIVE will appear on all the platforms of service operation. Professional online translation of Z-Games is going to be broadcasted exclusively for 40 millions of MEGOGO’s viewers in Ukraine, Russia, Belarus, the Baltic States and other Eastern European countries in a unique format created by a team of 30 MEGOGO and Z-Games people. All of the major music performances, sports finals and other significant competitions and shows will be captured using professional equipment and with the assistance of a skilled team – directors of live broadcasts, television presenters and commentators, cameramen and sound producers. What is more, teams of stand alone MEGOGO streamers, selected in advance from the participants of the event, will catch the unique atmosphere with smartphones with special software, using drones and other gadgets. All video – both professional and from the streamers, are going to be shot and combined in real time into a single high-quality broadcast by professional directors. 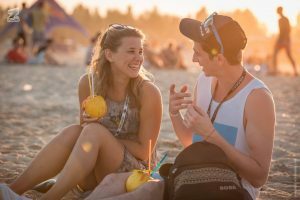 This approach will highlight unique dynamics of the live event, interactivity and distinctiveness, while maintaining a fascinating and high-quality picture. To provide the required technical quality all mobile streamers will use the latest Samsung flagship smartphones. Ivan Shestakov has no doubts about the success of the project: “We are having in mind the format and engaging spirit of the Olympics airings, international championships and festivals broadcasts. The program is also full of diaries and summaries, interviews, discussions and competitions analytics, highlights and fan moments, concerts backstage and even the after-parties with musical groups – all that is not usually seen by the regular visitors. However, the most important component is the insider’s view of the events provided by ubiquitous streamers. This event is targeted for progressive young people who grew up on YouTube and social media. This is a huge audience; with everyone having a smartphone with a camera in his pocket. 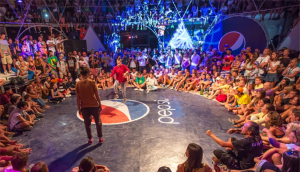 In this project, we will give the audience more than TV is able to give – we have no airtime limits and vigorously engaging the audience to create content themselves alongside with our professional team”. 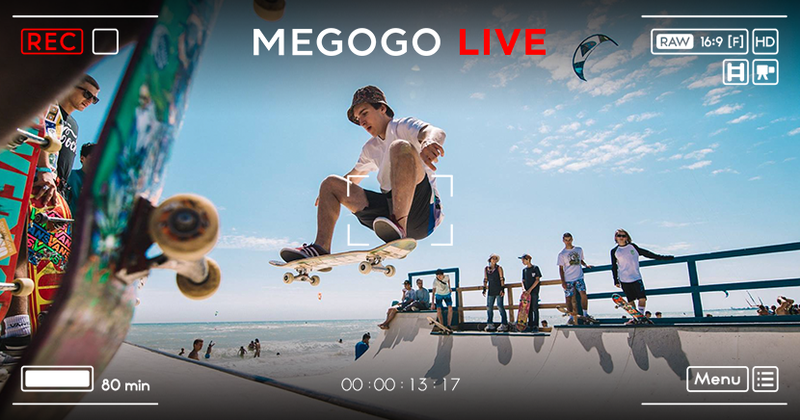 Newly announced project MEGOGO LIVE tightly integrates with existing business areas of MEGOGO – television and movie products, forming a single environment for the consumption of professional video content for any audience on any device and territories. “We intend to broadcast significant and niche events in Ukraine, Russia, Belarus and the Baltic States and in Europe in this format. Our service gained the awareness and appreciation of the audience over 30 years, who is used to TV format and fell in love with the VOD, and we continue to develop these two products for them. MEGOGO LIVE was designed for the younger people and will be even more popular than the classic TV products”, – projects optimism marketing director of the service. The streaming will be available free of charge every day of the festival on the website and apps for all devices and platforms worldwide. According to VOD-service’s team forecasts the broadcast will gather international audience of more than 150 000 people. “Z-Games is an international event, more than half of its participants and guests are representing different countries of the world, consequently, our new product will be very interesting for the international audience”, – planning MEGOGO’s management.